The wine production area of South Africa is similar in size to Bordeaux’s total vineyard area, and the country produces around 4% of the world’s wine overall. Though wine has been produced here for 350 years, South Africa is a New World wine country. Since the fall of apartheid in 1994, the wine industry has come a long way. Beforehand, much of the production was in the hands of a state cooperative. Today, there are many eager, ambitious and innovative producers determined to show the world that South Africa can make wine of the finest quality. The most widely planted red wine varieties are Cabernet Sauvignon, Merlot and Pinotage. The important white varieties are Chenin Blanc, Chardonnay and Sauvignon Blanc. South Africa’s climate is Mediterranean, with wet winters and long, dry summers. The cold Benguela Current has a substantial cooling effect on the wine regions and allows for more elegant wines to be produced. It cools the vineyards during the summer afternoons, slowing down the ripening process and intensifying flavours. Much of the inexpensive wines of South Africa come from the Western Cape, a catch-all appellation covering most of the country’s wine regions. The better wines come from smaller regions where more attention is paid to the combination of soil, climate and grape variety. The best white wines tend to come from the cooler coastal areas. 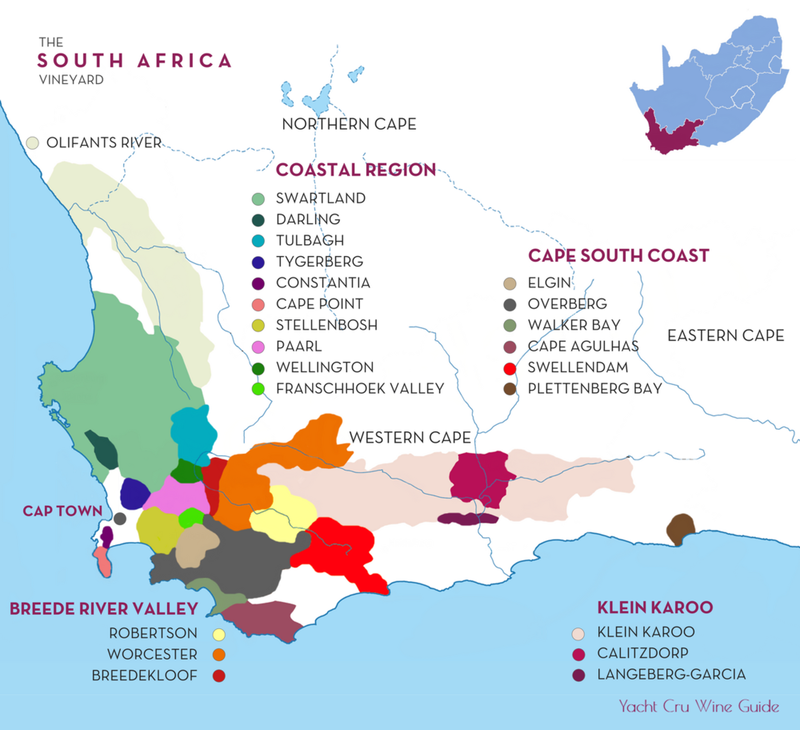 Below is a short presentation of some of the key South African wine regions. 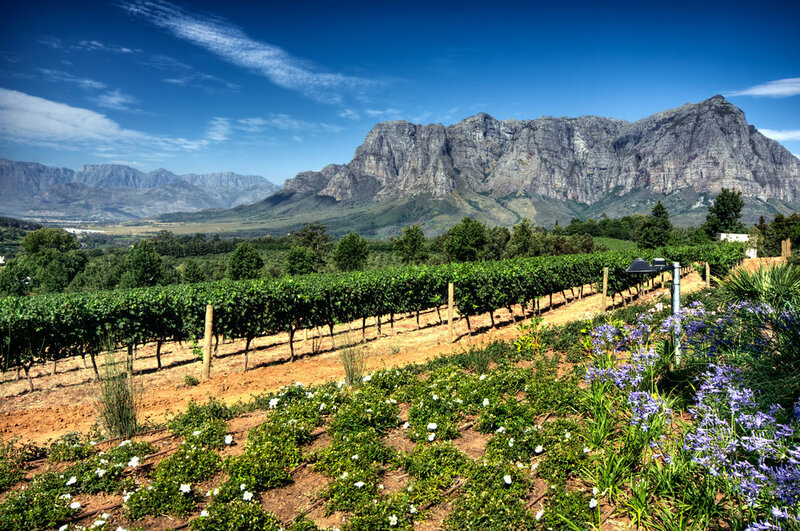 Stellenbosch is the most famous wine region in South Africa and is the home to some of the country’s best producers. The mountainous terrain, good rainfall, deep, well-drained soils and diversity of terroirs make this a great area for viticulture. The area is rarely to hot thanks to cooling winds from False Bay funnelled through various valleys. The main grapes grown here are Cabernet Sauvignon and Merlot. On the southern slopes of the Table Mountain lies the historic Constantia Valley, the cradle of winemaking in the Cape. It is here the world-famous dessert wine Constantia is made from the Muscat grape. The vineyards climb the east-facing slopes of the Constantiaberg, where the vines benefit from the cool sea breeze’s contribution to finesse and elegance. Some of the country’s best Sauvignon Blanc also comes from this region. The vineyards of Durbanville, like those of Constantia, lie very close to Cape Town and border on the northern suburbs. The wineries here, situated mainly on the rolling hill slopes with their various aspects and altitudes, continue to make a wide variety of wine styles. Some of the vineyards grow at a height of as much as 380 metres above sea level. Wines from this ward attracting attention are Sauvignon Blanc, Chardonnay, Merlot and Cabernet Sauvignon. Cooling sea breezes, night-time mists and proximity to the ocean are beneficial factors when it comes to the quality of the grapes. Swartland means “the black land”, and the area takes its name from a native dark bush which gives the landscape a dark colour at certain times of the year. Originally, the main wines produced here were full-bodied reds and Port-like fortified wines followed by a reputation for inexpensive table wines. Recently, however, there has been a tremendous transformation and the area is no the centre of innovation in terms of quality and pushing limits. The region is particularly famous for old vine Chenin Blanc and some complex and spicy Syrah but also produces excellent Sauvignon Blancs and Chardonnays. Surrounded by mountains on three sides, the area is characterised by extreme differences in day and night temperatures. The mountainous terrain also creates various soil types and different microclimates, which can be beneficial to viticulture. With today’s high-tech water management and advanced viticultural practices, the real potential of this area is starting to be realised. There are many avant-garde and ambitious winemakers in the region that are growing different grape varieties, though Shiraz has been the most successful thus far. This district is mostly famous for its Chardonnay and Pinot Noir. 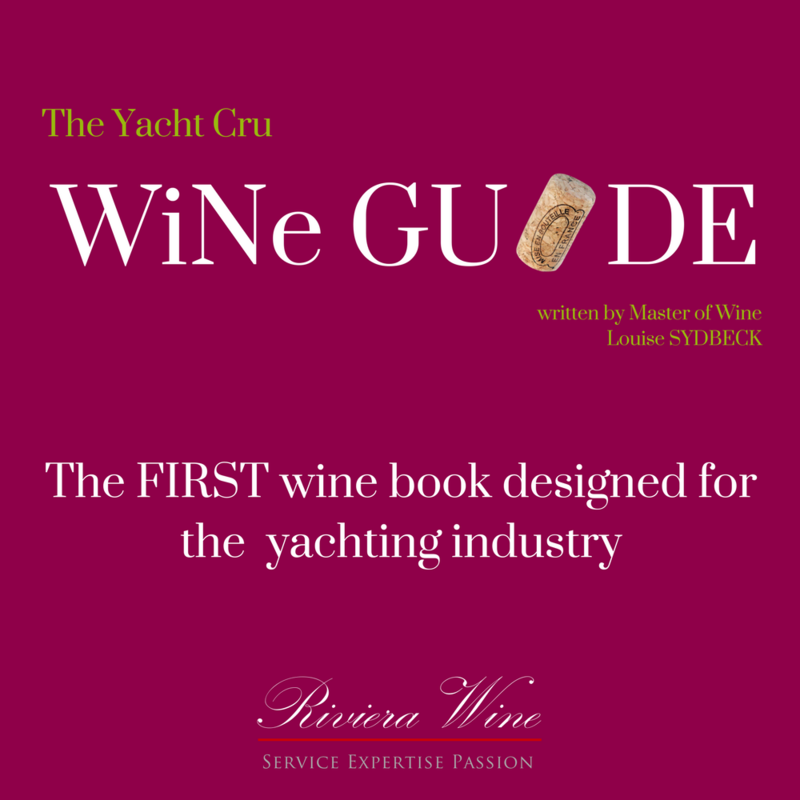 It has a cool climate due to the cooling ocean currents, making it possible to produce elegant, Burgundy-style wines. Fine examples of Sauvignon Blanc, Merlot, and Shiraz are also produced here.